Below are a number of articles relating to shutters, blinds, window treatments and interior design. Click on the titles to view. 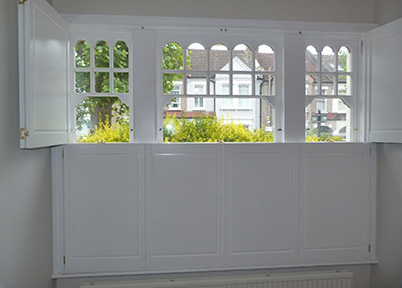 Based in North London and working with customers in both North and South London and the Home Counties, Bespoke Shutters bring you an excellent range of shutters including natural wooden shutters, painted shutters, plantation shutters and solid shutters. Why choose interior shutters over exterior shutters? Interior window shutters are window shutters housed on the insides of the window aperture and glass window panes. With autumn here and the cold winter weather fast approaching, the time has come to think about home maintenance, security and warmth. After all, it won’t be long before we’re pulling the curtains, reaching for the blankets and turning the central heating up full in an attempt to maintain privacy and keep warm. What to look for in a shutter company? There are many window shutter companies in the market today, which is testament to just how popular this particular type of window treatment has become. But how do you distinguish between the great, the good and the not so good? Wooden Shutters or Painted Shutters – which is right for your home? To add a fresh, contemporary feel to your home’s interior, replace those tired old net curtains with natural wooden shutters. With their clean straight lines, these stylish window treatments look fabulous and will offset any room design whether it is traditional or modern. Now that summer has finally arrived and with temperatures reaching 25 degrees plus in many parts of the country, we are all feeling the heat. 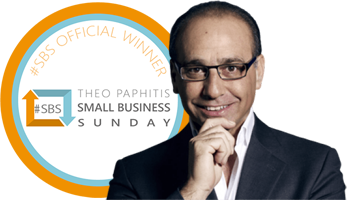 Both during the day and at night, it is feeling hot and uncomfortable in many homes and offices – but plantation shutters can help to ease this discomfort. Plantation shutters are a must have on today’s interior design feature list. Their clean, simple lines appeal to our desire for a modern, contemporary look that is both stylish and practical and very easy to maintain. If you require a natural wood finish to your interior shutters, then Cedar wood makes the obvious choice. Its rich colour and tight, straight grain with very few knots means it produces wonderful plantation shutters and solid shutters that with a simple wax or polish, stand out as truly beautiful pieces. Open up any glossy home decor magazine and you’ll see them; beautifully arranged room sets with contemporary furniture and co-ordinating fabrics and in the background, completing the picture with their clean, straight, simple lines, a stylish set of interior wooden shutters. Getting the right look together for your bathroom windows can be difficult. Nowadays it's not enough to rely on the old frosted or opaque glass window treatments. They are tired, old hat and just too commonplace. The bedroom is a room we spend a third of our lives in. It is important to create a nurturing, relaxing well-functioning room that enables us to get a good night’s sleep and awake feeling refreshed and revitalised. Our guide to bedroom window dressings is designed to help you do just that! Working from home can be really enjoyable, if you have a well-designed home office. Apart from having sturdy office furniture and a comfortable supportive chair, it is also important to get the light in the room right, to avoid eyestrain, headaches and tiredness. Plantation shutters, also known as louvered shutters consist of louvered panels that are fixed either inside or outside of windows are doors. The kitchen has become the heart of the home in many houses, and families often spend a lot of time here, eating and catching up on the day. So it is important to make this room a bright and private space where all can relax. In the last year and a half, many people have decided not to move house due to the change in the housing market. Whilst this has been a frustrating time, it has encouraged homeowners to focus on improving their current home so that it is more practical and comfortable for everyday living. Plantation shutters are made with louvered slats that can be adjusted to moderate airflow. This was in fact their original purpose to control the air coming into the building. Shutters rotate to open in the horizontal position and close in the vertical, to increase or decrease the ventilation in a room. The three main types of plantation shutters are full height shutters, café style shutters and tier on tier shutters. Full height shutters cover the length and breadth of the window. They are also used as room dividers and to cover patio and sliding doors. 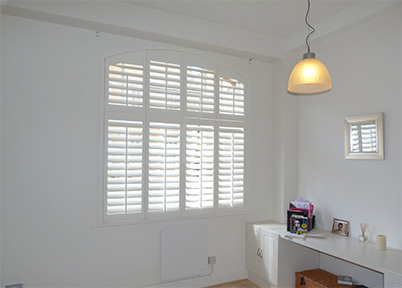 Solid shutters are an interior fitted window treatment that is much sought after today. They are vertically hinged and designed to concertina, making it possible to partially or completely, open and close the shutters. Whether the shutters are for your main family residence, a second home or rented property, a number of factors will need to be considered, among them, security, aesthetics and maintenance. If your living room window faces to the front or rear of your property, there is a good chance that a neighbour or a member of the public can see into your home, particularly in the early evening or at nighttime. An ideal window treatment in this scenario would be the cafe style window shutters.